Amino acids are the building blocks of proteins, so the foods with the highest amount of amino acids are those that are highest in protein. Of the 20 amino acids, nine are essential because your body can’t make them. Animal-based foods including meat, poultry, fish, and dairy contain all of the essential amino acids, while most plant-based protein sources like beans, and nuts are low in one or more of the essential amino acids. Vegetarian diets can create a nutrient deficiency if the vegetarian is not consuming amino acids through multiple plant based protein sources and enriched protein sources like protein powders. Red meat is one of the foods highest in protein, with lean cuts of beef providing about 31 grams in each 3-ounce serving. 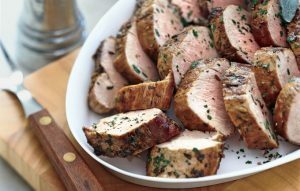 Ham and pork sirloin roast each provide about 28 grams of protein per 3-ounce serving, and pork chops contain about 21 grams per 3-ounce serving. Fattier cuts of meat are lower in protein per gram. It is very important to use all natural meats without additives, preservatives, dyes, steroids, pesticides, herbicides and antibiotics. The reason for this is that they stimulate the opiate receptors, affect the insulin mechanism and inflammation. These in turn will affect the immune system and negate much of the good the amino acids do. You don’t have to eat red meat to get a good protein and amino acid fix. A 3-ounce serving of chicken or turkey breast has about 28 grams of protein, and the same amount of halibut, tuna or salmon contains about 22 grams. Tilapia, cod, sole, flounder and perch are slightly lower in protein but are still good sources. The same is true with poultry, only use all natural for the reasons stated above. You can get a significant amount of the necessary amino acids from eggs and dairy foods. When it comes to dairy products, a 1-ounce slice of cheese provides 8-10 grams of protein, a cup of yogurt provides 14 grams of protein, and a large egg has 6 grams of protein. I prefer eggs to dairy since dairy stimulates the opiate receptors and is one of the foods a large number of people are allergic to. Unlike most other plant-based protein sources, quinoa and soy products provide all of the essential amino acids. A cup of cooked quinoa has about 8 grams of protein, a 3-ounce serving of tofu has 6 grams of protein and a cup of soybeans has 29 grams of protein. Soy protein is not recommended to most people because it mimics estrogen and can even increase risk for certain cancers. Beans and nuts, which don’t contain all the amino acids, do provide significant amounts of protein, with beans providing between 15 and 17 grams of protein per cup and nuts and seeds providing between 4 and 9 grams of protein per ounce. Amino acids help preserve and build lean muscle mass. Amino acids help repair and preserve lean muscle especially during times when food consumption is low and/or exercise activity is extremely high (ie. Marathon runners, military, etc.). Lean muscle is heavier than fat but more calories are burned to maintain it. Therefore it will lower fat accumulation and increase your basal metabolism (calories burned while resting) which will help most exercise regimens and goals. Amino acids play a role in maintaining a normal mood because they are precursors of serotonin, dopamine, and norepinephrine. The Amino Complex formula was shown to significantly improve mood in older adults and reduce signs of stress. This is very important for stress prevention, remember stress releases Cortisol which stops or inhibits many metabolic functions. This will negate much of the good that the amino acids help with. The amino acids also help with depression and PTSD since they are partially caused by shortages in serotonin and dopomine. In older adults amino acids increased lean body mass, which then had the effect of helping to maintain normal fasting insulin levels and blood glucose levels. 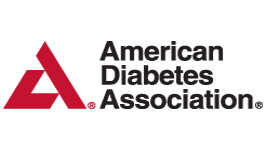 The use of amino acids in the Amino Complex formula also supported normal insulin levels and blood sugar levels in patients with type 2 diabetes, showing that their use can significantly alter the way the body stores and uses fuel. Fasting insulin and glycated hemoglobin, or HbA1c were both positively impacted. With Diabetes type 2 affecting almost 40% of the U.S. population, you can see how important amino acids are. By helping with blood sugar levels, the amino acids also help with obesity which is another growing epidemic in the United States. Consuming high quality, chemically free animal based protein at most meals will ensure that you are consuming the essential amino acids your body needs and does not produce. Supplementing with additional amino acids in powder form can be beneficial for elderly who have reduced appetite, vegetarians and those who are extremely physically active like military, power lifters, and endurance athletes. It also helps with overall health and in the prevention of the diseases mentioned above.